Guantanamo is one of numerous US global black sites operating extrajudicially – torture and other forms of abuse still ongoing, major media entirely silent. Obama could have closed all US torture prisons by executive order on day one in office. He chose to keep them operating. His pledge to close Guantanamo during his first year in office was deliberate deception. The evidence speaks for itself. Washington operates solely by its own rules. International, constitutional and US statute laws don’t matter. Former Guantanamo guard Joseph Hickman believes Guantanamo officials wanted prisoners causing “problems for the command” by leading hunger strikes or other forms of resistance silenced. More on him below. Law Professor Mark Denbeaux published numerous “GTMO Reports,” including profiles of detainees held, allegations against them, and disturbing discrepancies in government accounts, explaining reasons for reported deaths. His earlier “Death in Camp Delta” report covered three simultaneous deaths in maximum security Alpha Block. Yassar Talal Al Zahrani, Mani Shaman Turki Al Habardi Al Tabi, and Ali Abdullah Ahmed were found dead shortly after midnight on June 10, 2006. The Pentagon said they were found hanging in their cells, claiming a short note found on each body indicated coordinated resistance against confinement. Denbeaux’s report found “dramatic flaws in the government’s investigation. (It) raise(s) serious questions about the security of the Camp (and) derelictions of duty by officials of multiple defense and intelligence agencies,” he said. Most likely they killed them, then whitewashed the investigation to suppress cold-blooded murder. Autopsy reports said the three men were hanging unobserved for at least two hours – despite constant round-the-clock surveillance by guards and video cameras recording everything. Standard Operating Procedures (SOPs) at Guantanamo require guards observe each detainee at least once every 10 minutes. Were they ordered to stay away from their cells the night of their deaths? Questions about what happened remain unanswered. What was the time and precise means of death? How did the three men braid nooses with torn sheets and/or clothing unobserved? How did they make mannequins, making it look like they were asleep in bed? Why did they stuff rags down their throats to choke? How were they able to hang sheets to obstruct views into their cells? How did they manage to bind their hands and feet? How was a noose hung from the cell wall metal mesh or ceiling? The Pentagon claimed they climbed on a sink, placed nooses around their necks, then released their weight and were strangled to death. How did all three follow precisely the same procedure? Their cells were separated from each other. They had no direct contact. How could they have cooperatively planned anything? How did they manage to do everything explained above unobserved for two or more hours? One victim was scheduled for release in 19 days. Why would he kill himself? No prisoner cries were heard or unusual activity detected indicating possible suicide attempts. Why was no serious investigation conducted? The three men in maximum security confinement died with no credible explanation why. Were cold-blooded murders committed, whitewashed as suicides? Draw your own conclusions. Hickman said he saw hunger strike leaders brought to a secret CIA “black site” at Guantanamo, accusing the agency of staging suicides to eliminate them. The Defense Department claimed the three victims “killed themselves in an apparent suicide pact,” despite no credible evidence proving it. Hickman noticed unusual activity on the night in question. “I witnessed a van. We used to call it paddy wagon. It was a detainee transport van,” he said. It “came into the gate, backed up to Camp 1 and took a detainee out of Camp 1 Alpha Block and put him into the paddy wagon and drove” off. The same procedure repeated two more times. “I got suspicious because there were no military commissions going on. They were taking detainees outside of Camp America,” Hickman explained. “I was suspicious of why they were doing it and where they were going.” Vans headed for “a facility which we called Camp No” – a secret Guantanamo CIA black site. At least one victim, Yassar Talal Al Zahrani, wrote his father before his death, saying camp authorities wanted to get rid of him. After leaving Guantanamo, Hickman “went to the Justice Department once. (T)hey squashed the story because I was revealing the CIA black site and they did not want that information out,” he explained. 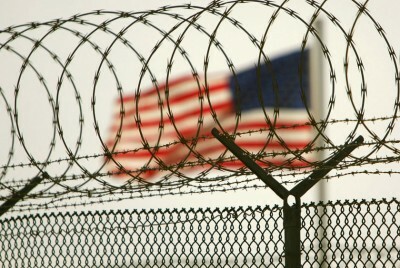 Human rights attorney Scott Horton’s Harper’s magazine report, titled “The Guantanamo ‘Suicides’ – A Camp Delta sergeant blows the whistle” discussed Hickman’s revelations in detail. Nothing changed. His own book is due out in February, titled “Murder at Camp Delta” telling his firsthand account of things with hindsight.